Soon, you’ll be able to charge your iPhone at strategic locations around New York City – but you’ll have to put in a little leg work. 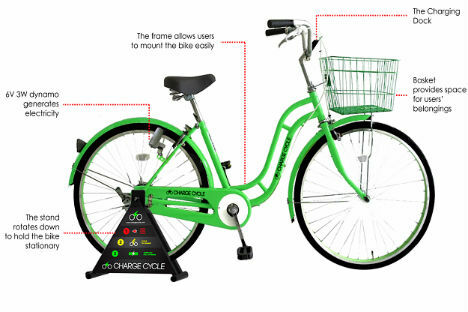 The Charge Cycle is a stationary bike equipped with an iPhone dock, so users can charge their phones with the power of their own muscles, without plugging into the grid. 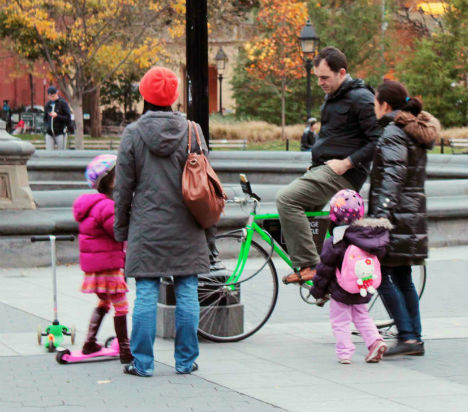 The Kickstarter-based project by David Krawczyk and Navjot Kaur aims to get at least 30 of these bikes out into the city where anyone can use them by early May 2013. 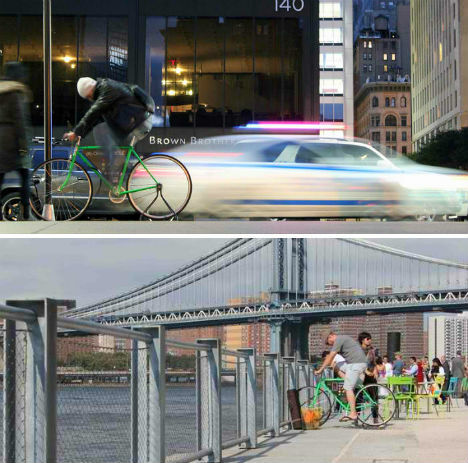 Prototypes have already been placed around New York in locations like Washington Square Park, Zuccotti Park and Brooklyn Bridge Park. 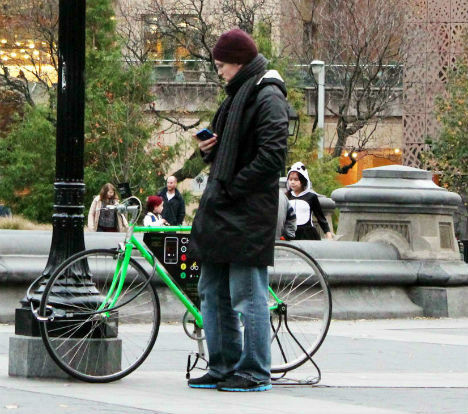 The bike is equipped with micro-USB, 30-pin and 8-pin adapters, so virtually anyone can charge their phones. It takes about the same amount of time cycling as it does plugging into a wall charger to charge up a phone, since most phones have built-in charge limiting functions to prevent overheating. The Charge Cycle will be free for public use. To use it, you attach your phone to an adapter ad secure it to the bike with a silicone band. A 10-segment LED display bar tells you how much charge you’ve accumulated as you pedal. The basket in the front holds your belongings as you ‘ride’. Watch the video above to see it in action. Want to support this project? Check out the Charge Cycle Kickstarter page.